Free Copy of “Big Creek”!!!!!!!!!!!! Actually, it is not exactly free. I want to barter with you. I’ve learned that I really need to get more reviews on Amazon, Barnes & Noble, and Good Reads. That somehow gets the book more attention and increases sales. One strategy to do that is to give people a copy in return for a review (or two, or three). Of course, I can’t afford to mail out paperback copies, but Hugo House has a method for distributing e-books (for FREE!). So, if you are interested in reading my charming, delightful, and informative book, and writing a review of it, send me an email to dinata@gmail.com and I’ll give you instructions for getting it at no cost. Please don’t ask for a copy unless you are serious about writing a review (even a short one). Time is limited, so please respond right now. So far, I have nothing but five-star reviews on Amazon – and I don’t even know who all those people are. Big Creek is a fairly quick read at about 200 pages. It’s not literature. It’s not scholarship. It’s just me relaying our adventures (and misadventures) volunteering as campground hosts in the Great Smoky Mountains National Park. 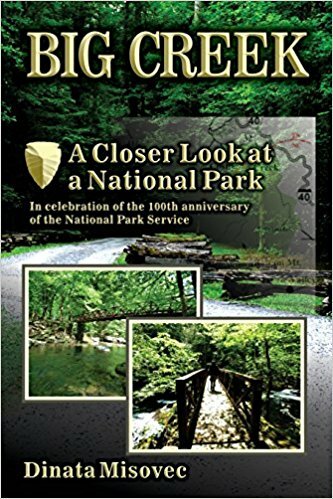 I wrote it because I was amazed at all that transpires in a national park while most of us are admiring the scenery. There is a huge, dedicated cadre working to maintain order and minimize the impact of over 11,000,000 visitors per year. Even though it is not fiction, there is still a bit of humor, heartbreak, and some interesting characters. You’ll also learn to make biscuits like my Grandma Dorothy. Have we hit over 11 million visitors this year?! !